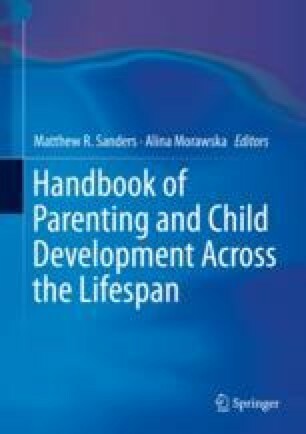 The goal of this chapter is to review the current state of theoretical and empirical knowledge on the quality of the couple relationship and the family structure as determinants of parenting behavior. Ample evidence has accumulated over the past few decades that the functioning of the interparental relationship is pivotal for positive and supportive parenting. Supporting the spillover theory, relationship distress among parenting couples may increase child maladjustment, both directly and indirectly, by disrupted child-rearing and less optimal coparenting. In separated or divorced families, coparenting is a key concept to explain why some couples succeed in compartmentalizing their parenting from their spousal role. As such, cooperative coparenting has been firmly established as a central protective factor buffering the impact of parental separation on children. Based on the reviewed data among stepfamilies, it can be tentatively concluded that a cohabiting stepparent may become a significant new caregiver for the child, but only on condition of good stepparent–child relationship quality, which has emerged as crucially important for children’s adjustment in the new family environment. This chapter posits that the interparental relationship can be regarded as the key relation which is responsible for family functioning across different family types (nuclear, divorced, and stepfamilies). As a practical implication, it might, therefore, be wise to strengthen this core relationship as a potential leverage point to positively affect parents’ individual parenting and their joint coparental alliance.